Endoscopic Earwax Removal is a pretty new way to remove ear wax from the ear canal. It involves a suction machine but a specialist endoscope is used to view the ear canal while the suction is being undertaken. It makes the job a little easier and probably a little safer as well. The professional has a direct view of what they are doing at all times. Endoscopic Earwax Removal is performed with the help of an Endoscope. The Endoscope is used to view the ear canal and the earwax while it is being removed with implements like an ear hook, or gentle suction using a medical suction pump. 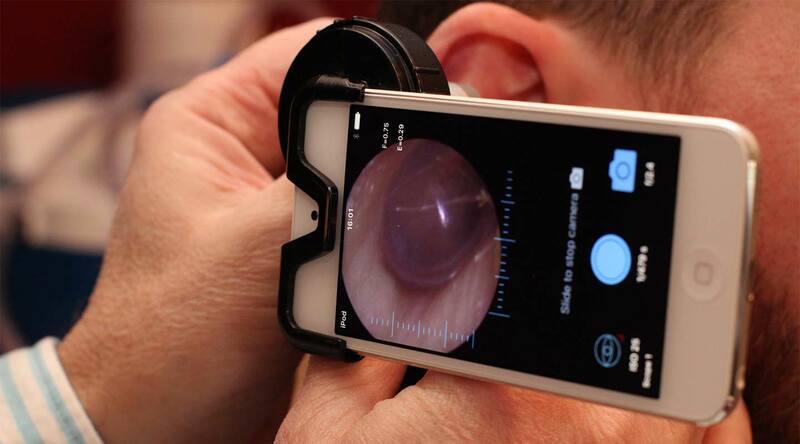 Clearwax has introduced the system and designed an excellent otoscope called the‘iCLEARscope’. The endoscope gives an excellent field of vision and is portable, allowing us to perform this type of treatment in a Home Visit!